Ceramics had a far-reaching impact in the second half of the twentieth century, as its artists worked through the same ideas regarding abstraction and form as those for other creative mediums. Live Form shines new light on the relation of ceramics to the artistic avant-garde by looking at the central role of women in the field: potters who popularized ceramics as they worked with or taught male counterparts like John Cage, Peter Voulkos, and Ken Price. Sorkin focuses on three Americans who promoted ceramics as an advanced artistic medium: Marguerite Wildenhain, a Bauhaus-trained potter and writer; Mary Caroline (M. C.) Richards, who renounced formalism at Black Mountain College to pursue new performative methods; and Susan Peterson, best known for her live throwing demonstrations on public television. Together, these women pioneered a hands-on teaching style and led educational and therapeutic activities for war veterans, students, the elderly, and many others. Far from being an isolated field, ceramics offered a sense of community and social engagement, which, Sorkin argues, crucially set the stage for later participatory forms of art and feminist collectivism. "Sorkin proposes that the performative nature of throwing, as used by Wildenhain, Richards and Peterson, predicated the ‘artist-performer,’ and positions live form as an important tool that has implications beyond individual art production, stretching its influence to learning and the community. In doing so, Sorkin elevates ceramics out of the binary dialogue of ceramics-as-pottery and ceramics-as-sculpture. Through shining a light on the careers of these women, she proves that ceramics as a practice has so much more to give than pure object production – it also has far reaching implications within the fields of socio-political, community, personal enrichment and participatory practice." "Sorkin provides a new historical grounding for contemporary participatory and socially engaged art by focusing on three major figures in postwar ceramics: Marguerite Wildenhain; Mary Caroline Richards; and Susan Peterson. In this book, Sorkin makes an important methodological, as well as historical, intervention. She asserts that ceramics as a field is less about the objects themselves, and more about the act of making, which connects both to theories of pedagogy and performance." "This book is a welcome and much-needed study of three under-represented practitioners and the cultural context in which they worked." "To be sure, Live Form methodically and effectively remaps the history of postwar American art." 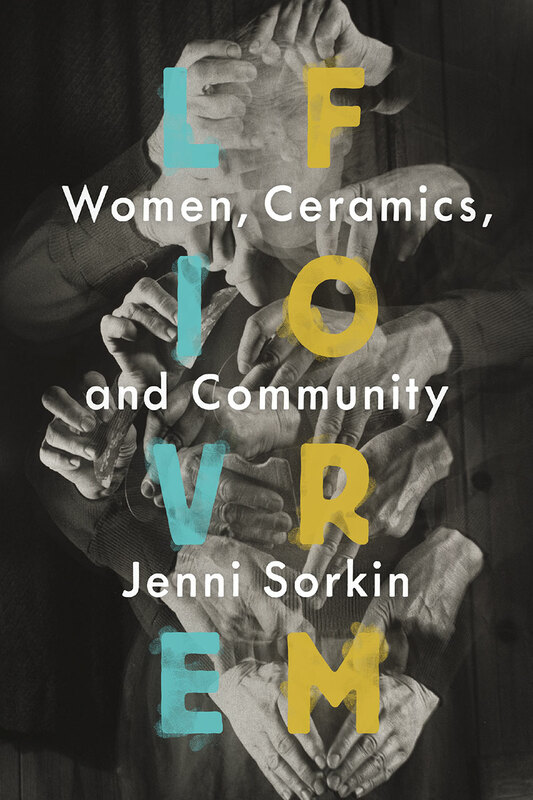 "Live Form is an important recovery project that makes exciting connections between the early twentieth-century legacy of the Arts and Crafts Movement and the avant-garde practices of the 1960s and 1970s. . .Sorkin offers a fully fleshed-out exploration of the integral role that women ceramicists played in developing the art of the last century. Her masterful work suggests how many more unrecovered stories of modernism have yet to be told." "Sorkin’s book is a corrective not only to the history of modern craft, which is still in the early days of its scholarly construction, but to our understanding of feminist methodology and postwar art in general. . . a detailed and ultimately very moving account. . . Sorkin shows us that art history’s intrinsic unfairness places hermeneutic demands on us as a profession, ones few have even bothered to consider. Again and again as I read Live Form, I asked myself what (and whom) I might have missed in my own writings, and what I might be able to do differently in the future. I also found renewed belief in the importance of craft-based narratives."